Active Media releases a 22-caliber bullet which is the only one effective solution against a Werewolfs, and in the same time can store your “Underworld” and “An American Werewolf In London” movies, soundtracks and pictures. 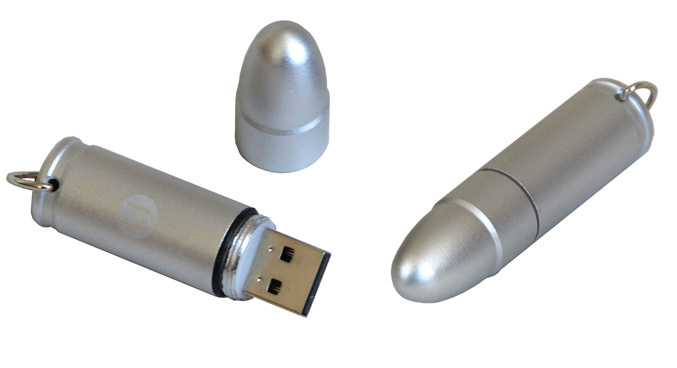 The new silver bullet shaped USB 2.0 flash drive has rugged aluminum casing, which is waterproof and dustproof, and a handy keychain and clip for attaching the drive to your backpack or keyring. The bullet drive is available now in 4GB for $14 and 8GB version for $21.